The Ultimate Athlete, George Leonard. North Atlantic Books. The Cooperative Sports and Games Book: Challenge Without Competition, Terry Orlick. Pantheon Books. Finite and Infinite Games, James Carse. Balantine. Sharing Nature with Children, Joseph Cornell. Dawn Publications. Cowtails and Cobras II: A Guide to Games, Initiative Ropes Courses, and Adventure Curriculum, Karl Rohnke. Project Adventure in cooperation with Kendall/Hunt Publishing Co. The Well Played Game, Bernie DeKoven, Writers Club Press. Junkyard Sports, Bernie DeKoven, Human Kinetics. On Course, Adrian Kissler. On Course. Family Reunion Handbook, Barbara Brown & Tom Ninkovich. Reunion Research. Everybody Wins: 393 Non-Competitive Games for Young Children, Jeffrey Sobel. Walker & Co.
Holiday Games and Activities, Barbara Wnek. Human Kinetics. Fitness Fun, Emily Foster, Karyn Hartinger & Katherine A. Smith. Human Kinetics. Free Play: Improvisation in Life & the Arts, Stephen Nachmanovitch. Tarcher/Perigee. 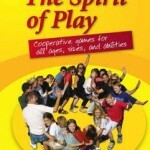 Great Games to Play with Groups, Frank W. Harris. Fearon Teaching Aids. The New Games Book, Andrew Fluegelman & Shoshana Tembeck. Doubleday. More New Games, Andrew Fluegelman & Shoshana Tembeck. Doubleday. How to Play with Your Children (and when Not To), Brian and Shirley Sutton-Smith. Hawthorn Books. Silver Bullets: A Guide to Initiative Problems, Adventure Games and Trust Activities, Project Adventure. The Bottomless Bag, Karl Rohnke. Kendall/Hunt Publishing Co.
Fun and Games for Family Gatherings, Adrienne Anderson. Reunion Research. Best New Games, Dale Le Fevre. Verlag an der Ruhr. New Games Fallschirmspiele, Todd Strong & Dale N. Le Fevre. Verlag an der Ruhr. 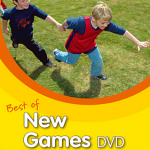 New Games Bd. I and II, Andrew Fluegelman & Shoshana Tembeck, Verlag an der Ruhr. 500 Spiele fár jede Gruppe und alle Situationen, Ulrich Baer. Robin-Hood-Versand, Kápplestein 36, 42857, Remscheid. Bewegungsspiele, Andreas Brinckmann & Uwe Tree™. Rowohlt Verlag, 21465 Reinbek. Flow und Das Flow-Erlebnis, Mihaly Csikszentmihalyi. Klett-Cotta, 70178 Stuttgart. Kooperative Spiele & Neue Kooperative Spiele, Terry Orlick. Beltz Verlag, 69469 Weinheim. Gro™gruppen-Animation 1982, Reinhold Rabenstein & Ren Reichel. Robin-Hood-Versand, Kápplestein 36, 42857, Remscheid. Jeux Nouveaux, Dale N. Le Fevre. Le Souffle d’Or, BP 3, 05300 Barret Le Bas.